That’s the word continually running through my head right now. 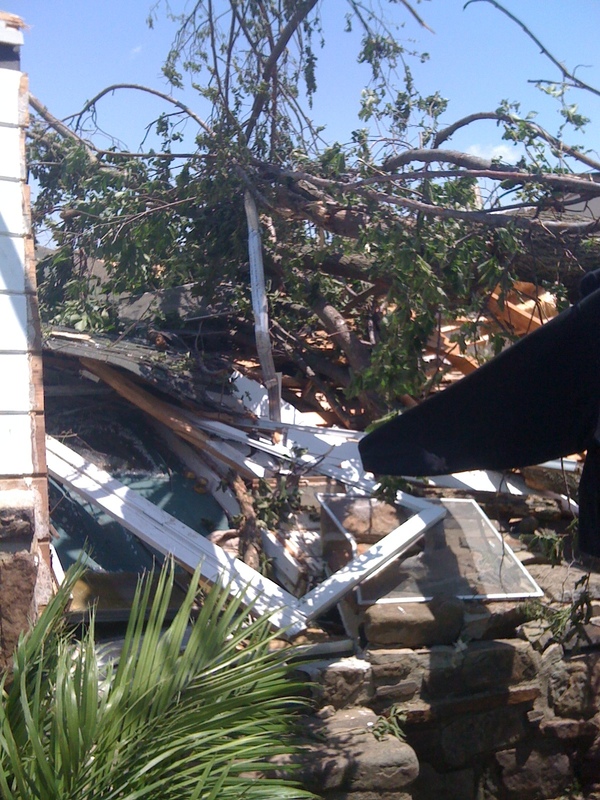 Just before midnight on May 24, 2010 Adam’s parents’ home was destroyed by an EF3 tornado. Their home for 30+ years. The home where he and his brothers were raised. His parents were asleep when the storm was about to hit. They woke up with only enough time to ride the storm out in the floor between their closet and bed. They escaped with minor scrapes and bruising. It could have been much worse. They are lucky they are alive. God was certainly watching over them and I praise him for his mercy. Lucky they have been able to salvage family photos and other sentimental items. Lucky they have friends, family and neighbors sacrificing their time to help them however the need it: sorting through the rubble, doing laundry, cutting up trees to get into the 2 hardest hit areas of their house (the kitchen and living room) which are mere crawl spaces now, and showering them with food and supplies. Lucky their vehicles and farm equipment, for the most part, sustained minor damage and are all still drivable. Lucky that her KitchenAid mixer is a-okay. Lucky that their liquor escaped unscathed. Despite the destruction and scary realization that they must rebuild and start anew, Adam’s parents are incredibly blessed right now. It could have been worse. Much worse. They are alive and that is something for which I thank God. 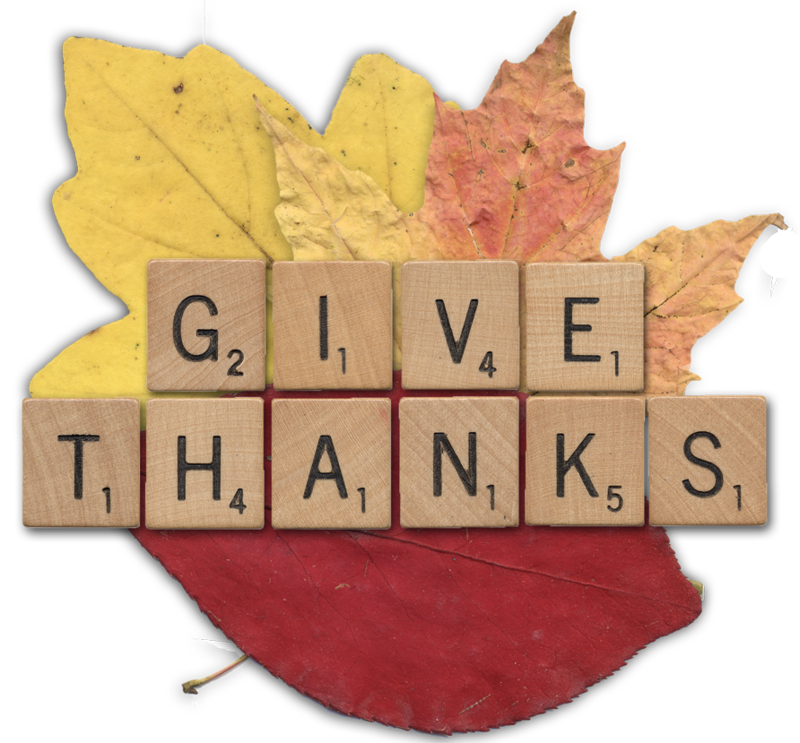 It’s very rare that I create an Adam approved JibJab video, but it is the season for miracles. Click the picture below for an Easter greeting! It’s been just over a week since Adam and I met with the fabulous Karen Segrave McCall, owner of KES Weddings, to shoot our engagement pictures. I’d be lying if I said I wasn’t a little nervous about how the shoot would go down, because I really wanted the pictures to reflect our personalities without looking posed or fake. Can I just tell you how lucky we got? Not only was Karen able to capture our personalities flawlessly in the pictures, but she also made sure that we had input on shots every step of the way! 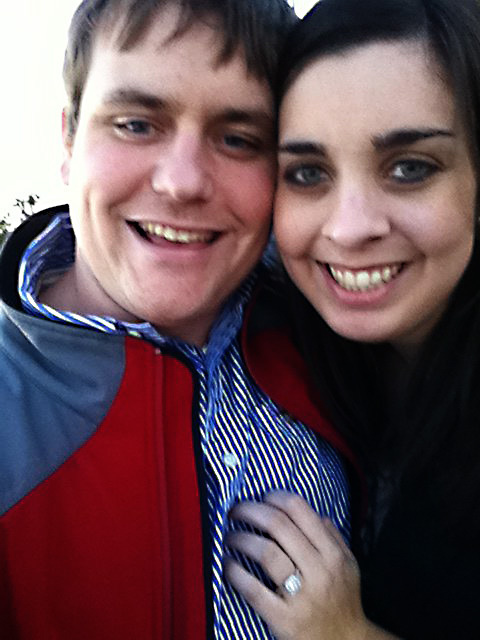 It was such fun traipsing about Little Rock with her for two and a half hours to find settings that “fit” with us. The biggest surprise came to us Sunday morning, less than 24 hours later, when I checked my email and saw that she had already made our proofs available to look through. I immediately opened them up and started swooning. They were full of emotion, laughter, love and joy and we couldn’t be happier! Karen has been so sweet to allow me to share some of my favorites with you. So, without further ado, I present our engagement pictures. I can’t recommend Karen highly enough if you are in the market for a wedding photographer. I’m so excited to see what she captures for my bridal portraits and at our wedding! Lately I’ve found myself driving around town and making up stories about the inhabitants of random houses. That craftsman house I pass almost daily: I bet the owners are close to retirement age. They have grown children and are soon expecting their first grandchild. Their home is cheerful, filled to the brim with memories of the life they’ve led. They host bridge once a week, playing around the same table where they helped their children with homework. That small wood-frame home with a carport: A widow lives there. The same home she built with her husband while raising their children in the 60s. She spends most of her time in 1 room: the kitchen, because that’s where most of her memories took place. She remembers her son’s burnt batch of brownies and the crowded Thanksgiving dinners. She finds herself staring at the same refrigerator where her children’s grades were proudly displayed. That friendly 2-story brick house in a sub-division I discovered on a random jaunt about town: I’m positive it’s home to a young family with 2 elementary aged children. The interior is modern yet inviting, the refrigerator covered in art projects and A+ homework assignments. The backyard filled with toys. What I’ve realized in these daydreams is that every family I make up in my head is happy, loving, and supportive. 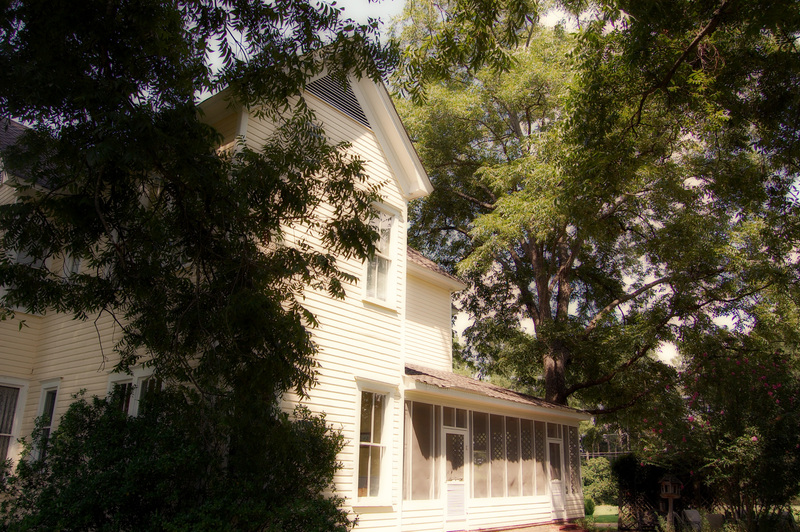 They are warm and welcoming and exude Southern hospitality. Their homes are well-decorated, each piece of furniture placed lovingly in position and each photo on the wall capturing a moment in time that they treasure. Maybe it’s because I’m newly engaged that I think about these things. Maybe it’s what happens when a bride-to-be starts to dream about her own house and new family. Whatever the reason, it’s given me focus. Focus to create a home that is welcoming, warm and full of love. A home that is a reflection of the personalities which inhabit it. A family that cherishes memories, laughs together and plays games together. A family who makes memories in the kitchen. 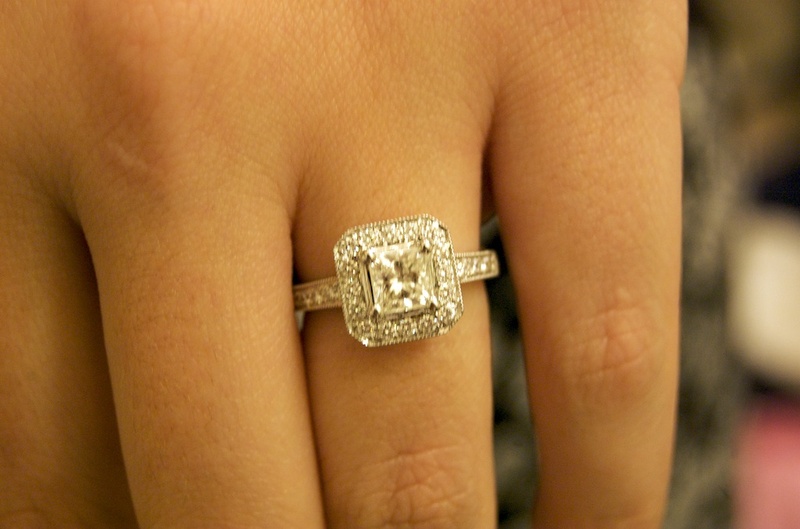 Earlier this week, Adam asked me to make a promise about our impending future together. A promise that spawned from a fear of his. His fear? That I would turn into a Real Housewife once we were married. My promise? I won’t become a Real Housewife. Let me tell you, his fear was very real and written all over his face. Meanwhile, I’m trying to stifle my laughter because he actually believes I might turn into one. As you probably know, I cannot tear myself away from the Real Housewives franchise. I follow every season, can discuss the episodes ad nauseum with anyone that will listen and have references pop into my head at random times throughout my day-to-day life. Maybe this explains Adam’s fear for the future – our future. 10. I have no desire to have cameras shoved in my face, or my family’s face, 24 hours a day, 7 days a week. Nor do I have any desire to have my phone tapped, my innermost thoughts broadcast to the world, or my “confessions” spliced, edited, and taken out of context. I prefer my spoken thoughts, as stupid as they may sometimes be, to be unedited and taken at face value. 9. Sure I like pets who wear clothes, gosh they can be so cute! But it doesn’t mean I’m going to drop thousands of dollars on a pure-bred purse dog just because I can. I’ll take shelter dog instead, they’ll be just as cute and loving. 8. I can think of about 1,000 other ways I’d spend 3.5 million dollars instead of on a child’s third birthday party. 2nd home in South Carolina, anyone? 7. I drive a Nissan. Not a Jaguar, not a Mercedes, not a BMW or Hummer. I drive your typical run of the mill 4 door sedan and the most fascinating place it takes me to during the week is work. Plus, I hear working for anyone but yourself or in a family business pretty much disqualifies you from being a Real Housewife. 6. I will never feel comfortable spending $3,000 in a single shopping trip on a pair of jeans, a sweater, and a t-shirt dress for a child who is still growing! That’s why Target was founded. 5. Reunions with my girlfriends won’t involve Andy Cohen asking us to relive the drama and tell him how we feel. Instead they’ll involve drama-free drinks at Happy Hour or the occasional trip to NYC. 4. I have no previous connections with the mafia. I have never been a drug dealer – or tried drugs for that matter. I also have no “Big Poppa” relationship. 3. I will never understand why women want frozen, expressionless faces. Plus, facial expressions can be important when effectively conveying sarcasm, which I plan to do a lot of for the rest of my life. 2. I have no desire to become a one-hit wonder singing about parties for which I cannot arrive on time, class for which money cannot buy, or closets from which freaks emerge. The only time I will try to be a recording star is when it required of me on whatever wii game I am playing at the moment. 1. I live in Arkansas. Rarely, if ever, do gay men prance around in high heels and hot pants then come to my house to fix my non-existent wig for a night on the town in the dry county I call home. I’m baaaaaack!! After a 2 week holiday blogging hiatus I’m back at it and ready to see what’s to come in 2011! Let’s start 2011 with a recap of my holidays, shall we? Every year, I travel to my tiny hometown of 3606 people in Southwest Arkansas to spend Christmas in my childhood home. This year I spent 3 days having lots of cable and internet free family time around roaring fires. We baked, attended my church’s “candlight” service on Christmas Eve, and exchanged Snoop Dogg jokes while driving around looking at Christmas lights. On Christmas morning we awoke to the sound of Ottie’s electronic bird noisemaker, which chirps constantly until unplugged. I found it soothing and nostalgic, my sister – on the other hand – described it as cruel and unusual punishment. In either case, I knew that Ottie was looking over us smiling. Eventually, we got out of our warm beds and bounded down the stairs to unwrap our gifts while wearing our traditional Christmas Eve gift of new pajamas. Once we finished unwrapping gifts, my sister asked for three gift bags. Why? So she could wrap our gifts from her – she’s always prepared. Next was Christmas breakfast, to which my parents thought mimosas would be a nice addition. Being the heavy drinkers they are, mom asked my sister and I to Google mimosas on our phones. Ha! A Google search? My sister and I could mix a mimosa in our sleep. By the time dinner came around we had spent the day vegging on the couch reading, texting friends, and watching movies. 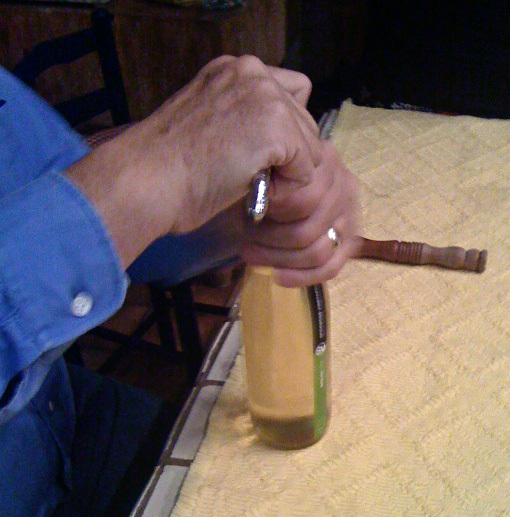 But there was an unopened bottle of Riesling in the fridge that we (ok, my sister and I) wanted to open. 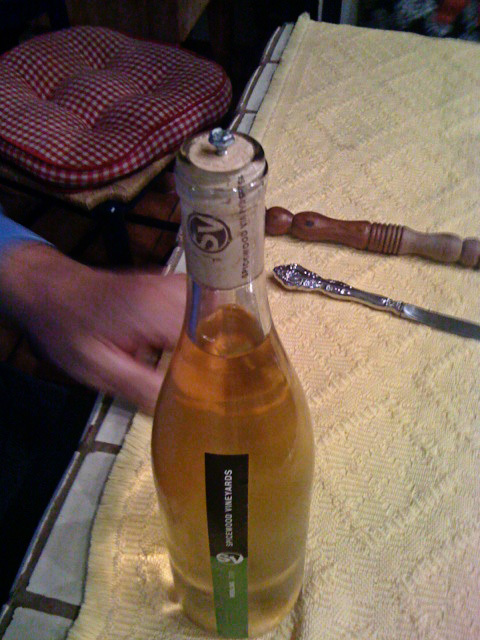 Then we realized we had no corkscrew in the house. Being the scrappy folk we are, my dad picked through my mom’s craft cabinet for screws and pliers and my sister grabbed a knife and an ice pick. 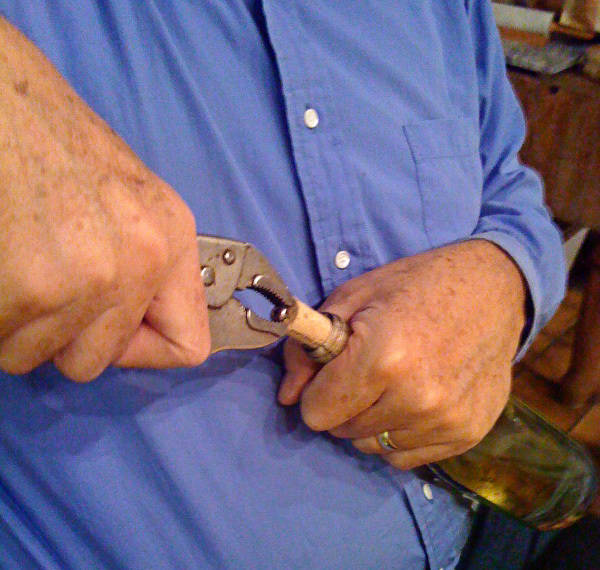 …my dad used the pliers to pull the cork out. Success!! Confession: I’m not really a big Halloween fan. Mainly because I absolutely despise scary movies. Take for example the fact that Scream and Scary Movie (the movie that parodies scary movies) scare me. The whole obsession with horrifying ghouls and goblins and paranormal activity and haunted houses is lost on me. So yeah, I’m a wuss. Since I am a past costume winner at the First United Methodist Church in my hometown [I dressed as a rockstar, complete with metallic Tina Turner-esque hair], I do enjoy the idea of dressing up as someone else. I just prefer that costumes involve cheerleaders, raggedy Anns, clowns, and ballerina princesses – not blood, ghosts, guts, or masks. I like the Halloween innocence of bobbing for apples and participating in cake walks. I also enjoy pranks, as long as they aren’t played on me or, if they are played on me, don’t prey on my phobia of snakes or give me nightmares. When you’re raised in a large 100-year old Victorian home it just seems to make Halloween easier to celebrate. The large front porch, the windows that sometimes rattled in the wind, occasional creaks when a door was opened…I’m sure it’s a Halloween enthusiast’s dream. I remember years of my dad putting on scary masks [somehow, when he put them on it wasn’t much different than his normal appearance. I kid. I kid.] 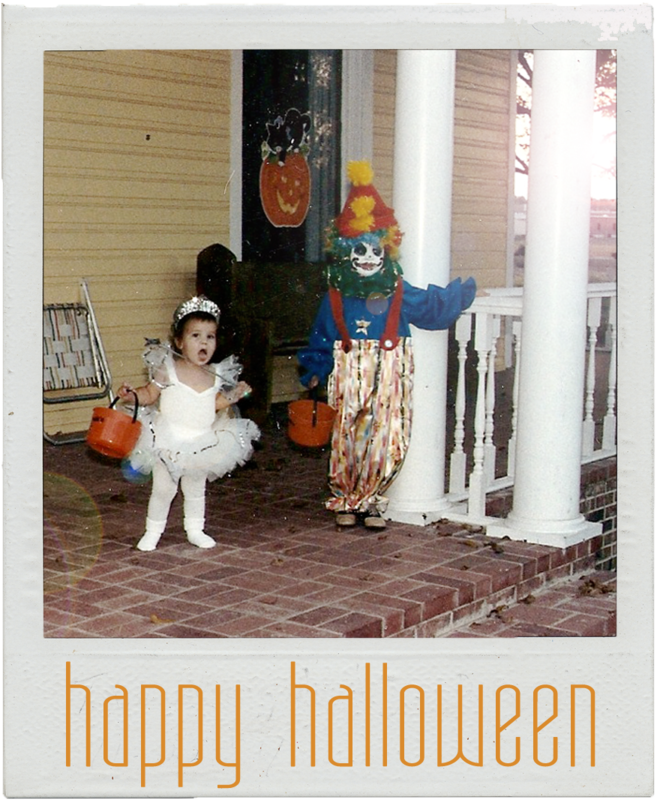 and handing out treats while my mom had a spooky Halloween cassette tape playing for added effect. Later, they got even more into it, with jack-o-lanterns on the steps and spider webs stretched over the door frame. But, I think my favorite Halloween memory is the year my dad rigged up a ghost, which my mom had made from a white sheet and newspaper, with fishing line to mysteriously raise up in front of trick-or-treaters when my masked 6’8″ dad opened the spider webbed door. That year? One kid was so scared he bolted off the front porch, through the yard, and back to his parents’ car. Without getting any candy. When I was 4, I was put in the corner at The Learning Corner for not knowing my home phone number and while I don’t remember the actual events of the evening that followed, you can bet my mom [or maybe my dad] helped me memorize our number so that the next day I could proudly recite it. Years passed and our number was written on countless school permission slips, emergency contact forms, doctor’s files, college applications, and summer camp forms. There’s no telling how many times I’ve written my home phone number down. Later, after the advent of “Zack Morris phones”, I received my first cell phone and stored the number simply as “Home”. 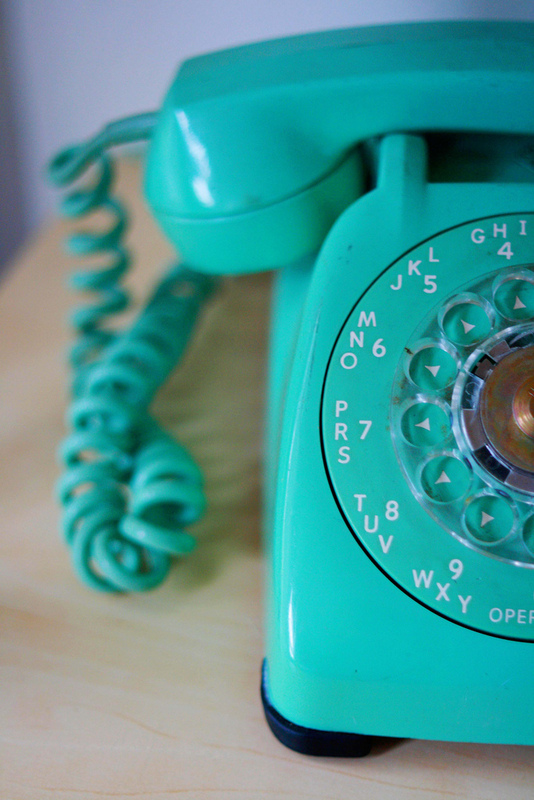 I placed it at speed dial #5, always knowing Home was just a press away. My first year at college there were innumerable calls to that number, then as the popularity of cellular devices increased, my parents “joined the bandwagon” and their individual cell numbers became my preferred method of reaching them. I never stopped calling “Home” though, nor did I stop writing it on contact forms. It always stayed one key press away. In December of 2008, my parents disconnected their landline. To them it was no big thing, but to my sister and me it was huge. Even though we have a home to go back and visit and “Mom” and “Dad” on speed dial, neither one of us can remove “Home” from our phonebook. Because, if we do, we’d be “Home”less. Isn’t it funny that a number I was once punished for not knowing, is a number that I no longer have to know? See that window? That BIG window at the top of the picture? That’s the window that inspired me today as my mom and I enjoyed a day of shopping. Growing up my dad owned a grocery store, Taylor’s Grocery, which eventually became Taylor’s Big Star. This grocery store was a part of my family for most of my adolescence. As a kid, it was AWESOME to have the store opened after hours by your dad to run wild in & get everything for “free”. Frozen pizza, popcorn, coke, magazines, comics. That store was my oyster. 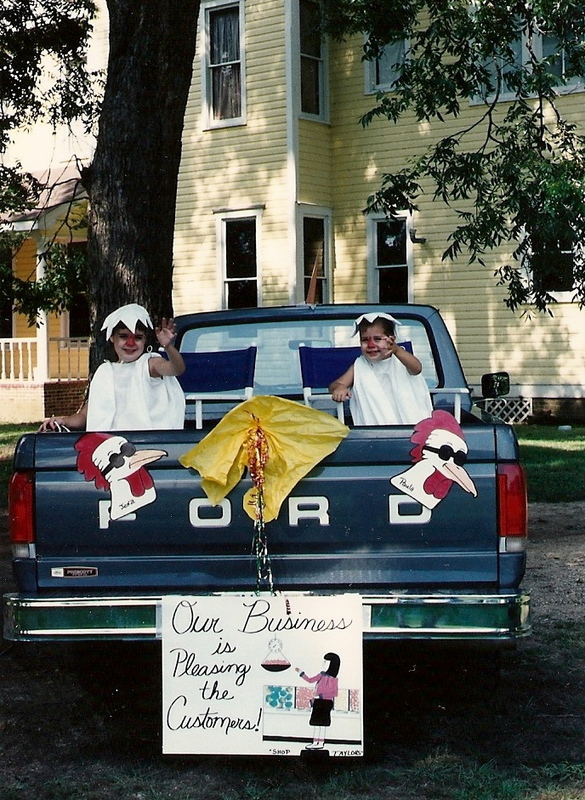 My sister and I were even the store mascots during the annual Chicken and Egg parade. (Yep, my hometown’s summer festival celebrated poultry. Laugh. It. Up.) See Exhibit A.
I learned the importance of properly sacking groceries, a skill that I still value to this day. You want squashed bread about as much as you want soap flavored apples, which is about as much as you want broken eggs, right? Never underestimate the importance of sacking your groceries. Ever. I learned how to efficiently scan barcodes. Well, when the scanner cooperates. Which also explains why I almost always choose the self-checkout line when the option is available. That line takes me back to a childhood of playing on the scanners after-hours at the family grocery store. I learned, thankfully not from first-hand experience, that those meat slicers in the deli can be awfully dangerous. I also learned that pricing guns aren’t dangerous and can actually be a lot of fun to use. I learned independence, because as a toddler my mom was known to wake up and see me toddling down the driveway to see daddy. Yep, I was an early riser. An early-riser who missed her dad. Thank goodness it was a straight shot, literally, to the grocery store from our house and that I never made it further than the driveway before getting caught. I learned where to find my dog, Sugar, a Cocker Spaniel, when he wasn’t in his pen. 9 times out of 10 he had jumped the fence and went to visit my dad at the grocery store. At the back of the store there was a small window, behind that window was the most fun area of the store. A tiny private “office”, if you will. To get to this office you had to climb up some stairs. Often these stairs were blocked by pallets or boxes, but that never got in our way. My sister and I would go up to this office with a box of Gushers or Fruit Roll-Ups, a few Archie comic books, some crayons and coloring books, and a fruit juice jug of some kind. We would feel like the queens of the store. From that little-bitty window we could see everything. A woman thumbing through magazines, a man picking fruit, every.single.person that walked through the doors. Unfortunately, we never witnessed some of the more interesting happenings of the store from that window. Like the time a guy decided to steal cigarettes, so he stuffed them down his pants then ran out of the store with the manager following him, leaving a trail of cigarettes along the way. Not to mention losing his pants in the pursuit as well. Or so I’m told. 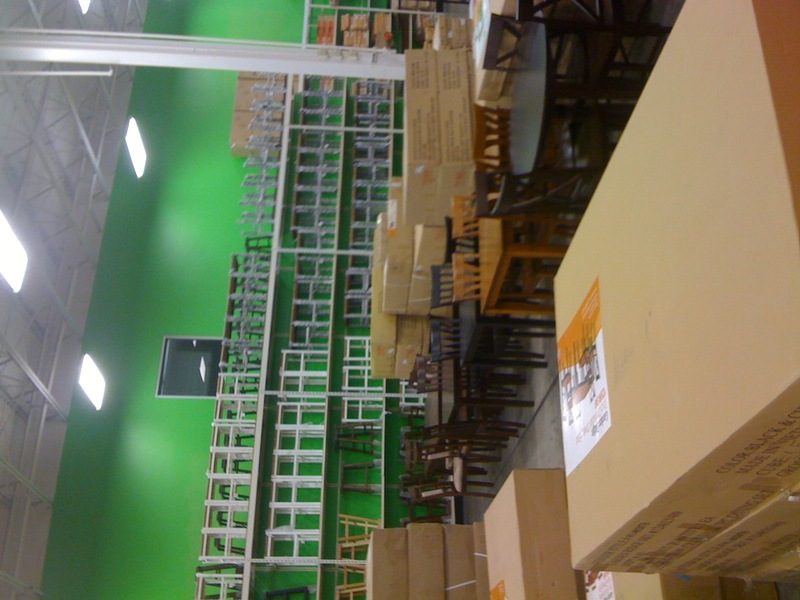 But I loved everyday that we got to sit up in that “office” watching over the store. From that window we could see exactly what a small town is about. Smiles to strangers, friendships, support, gossip, laughter, family, and eating. Being the daughter of a grocer taught me so much more than the importance sacking and scanning. It taught me the importance of a community that sticks together through thick and thin. When I was 2 or 3, my cousin introduced me to Janet Jackson and I danced and sang my way through “Nasty” and “Lately”. My parents further encouraged this behavior by taping it using their VHS Camcorder. They were cool like that. 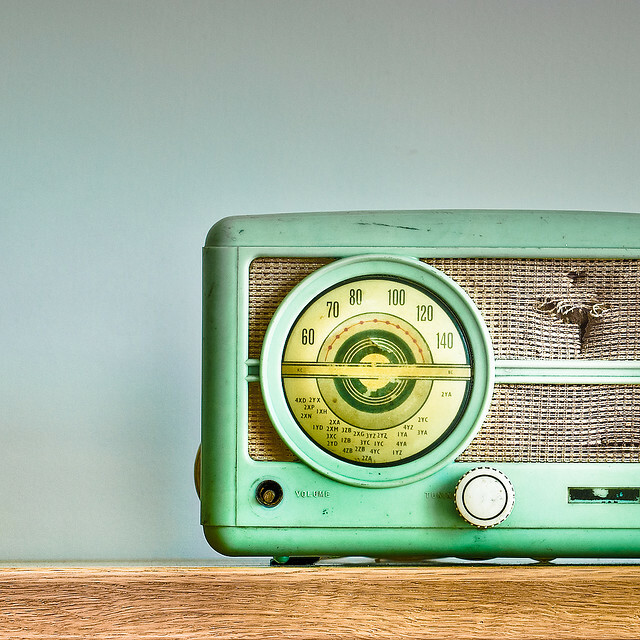 When I was about 7, I remember receiving my own personal tape player and microphone set-up, perfect for rapping to MC Hammer or Vanilla Ice on my parents’ screened in back porch. I was dope. When I was about 12, my family started having karaoke nights, despite the fact that none of us could sing…well, we could sing, we just weren’t any good. Our karaoke machine was well loved and our song selection was impressive. We had a binder of CDs from which to choose, but inevitably I always chose “Brick House”. Complete with a little self-choreographed dance. My adolescence was marked with age inappropriate karaoke. Then, I went off to college, got my first apartment and realized that I could own karaoke games. Karaoke competitions? In my own home? Count. Me. In. I bought SingStar, Karaoke Revolution, and Get On Da Mic and held karaoke parties with friends. Watching each and every person try to hit a perfect score was entertaining to say the least, but best of all it provided me with 3 karaoke standards, should someone every bribe me to sing karaoke in public.